Last week, we spoke about the traditional Italian Aperitivo. 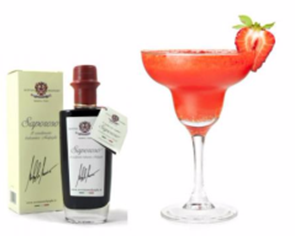 Instead, today I want to share with you a breeze of innovation because Balsamic Vinegar of Modena is an ingredient that can inspire many cocktail creations! What is the result? A wonderful taste that enhances alcoholic beverages with oak essence to create a great depth of flavour. Definitely, a symphony in the mouth that will hit the spot at your Christmas buffet! Since 1850, the Malpighi Family protect an invaluable treasure… Almost 3000 barrels where the real Traditional Balsamic Vinegar of Modena ages. 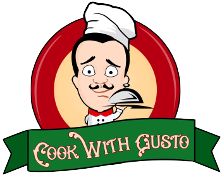 A millennial culture merged with innovation, a secular tradition that joins the most advanced gastronomic research, giving birth to extraordinary emotions. 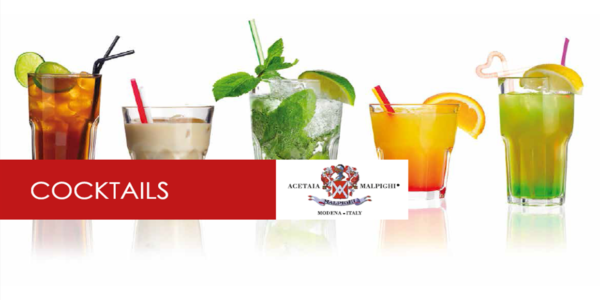 Acetaia Malpighi proposes a range of innovative and original products, which invites you to experience and have fun. Mix ingredient and following your emotions and fantasy! 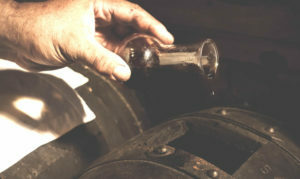 Innovation with Balsamic Vinegar of Modena! Blend this excellence to your own creativity obtaining extraordinary flavours, amazing combinations that involve every sense and inspires daring culinary experiments, to refine original cocktails, widening from traditional to fusion styles. Mix Well the ingredients with ice for few minutes, serve in an iced cup and garnish with a spoon of Strawberry Jelly. 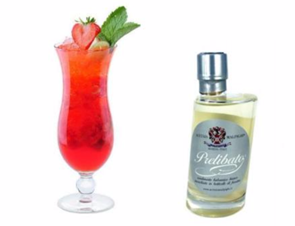 Mix well, serve in “Globet” glass and garnish with a fresh strawberries. Mix well the ingredients with ice, serve in a frozen cup. 4. The New Year Eve Ching Ching! 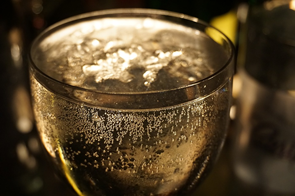 Serve your favourite Champagne adding some White Balsamic Pearls inside the flute…you will enjoy every sip! Mix well all the ingredients and finish it with a touch of “Extra Vecchio” ….Then, savour each sip. 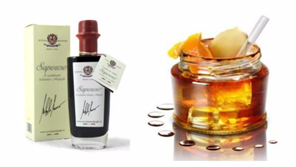 Now you know how you can do some delicious cocktails with Balsamic Vinegar of Modena! Do you think that Balsamic Vinegar could also be used to give a special touch to your favourite cocktails? Do you have any suggestions for possible swaps and additions? I would look to hear what you think!